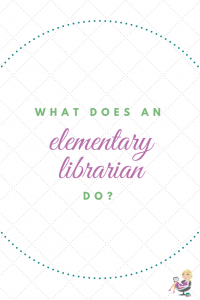 What Does an Elementary Librarian Do? Every week, people land on my website by searching for some variation of "What does an elementary librarian do?". Sometimes they might search for elementary librarian job duties, or even elementary librarian job description. I thought I would take a few minutes to answer that question today. I think when a lot of people think about school librarians, they think about someone who checks books in and out at a desk all day. Someone whose favorite sound is, "Shhhhh!" My guess is that those people have not stepped into a school library any time in the past decade or more. The truth is: checking books in and out is one of the things I spend the least time doing in my library, and most of the time, it's far from quiet. The 21st Century library is a very different place than the library I visited in elementary school. The big card catalog case with the tiny drawers got kicked to the curb years ago in favor of computerized systems. Fewer manual processing tasks made time for more interactions with students and more time to promote reading programs... in theory. Unfortunately, some school districts didn't get the memo. To them, less manual processing for librarians meant more time to pick up additional duties related to today's laser focus on standardized testing. That brings us to today's elementary librarian. I'd say it's a pretty safe bet that no two elementary librarians have the same expectations these days. I know this based on the emails I get from my readers. Most days, we have a stressful and often frustrating job - there's never enough time to do all the things we need to do and do them well. Hold it! I thought the librarian had the easiest job in the school! I'm not sure where people get this idea. If your librarian stops moving for more than a few minutes a day, he or she either isn't doing their job properly, or they have vastly different responsibilities than I do. It's true that librarians have a slight advantage of not having a homeroom to attend to, but in my case, it's more than made up for by additional duties I have because of that. I've had several questions about my schedule. I gave some details on the page called About My Schedule, but I'm going to go into even greater detail here. I have checkout days and class days in my library. I don't have library classes on checkout days, and I don't check in/out on class days. I know this varies from library to library. As you can see, elementary librarians do much more than check books in and out. In fact, I even let my students check their own books out because I simply do not have time to get everything done if I don't. Ok, that doesn't seem so bad. 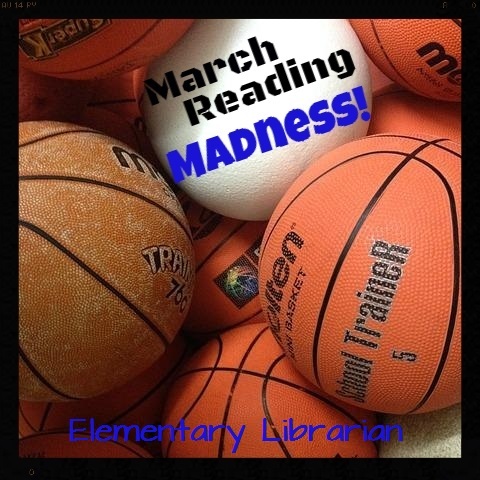 What else does a elementary librarian do? In addition to taking care of the library's collection and my teaching duties, I'm also responsible for coordinating the Accelerated Reader program, coordinating quarterly Family Reading Nights, teaching drama skills related to arts education (which I have no experience or training in, by the way), updating the school's website, updating the outdoor marquee sign, and helping coordinate our school's Program Review. Every now and then, if I have a few spare minutes, I attempt to collaborate with teachers and think of new ways to get students excited about reading. Of course, none of those things would be possible if I didn't work on my library lesson plans at home. In the past, I've attempted to write lesson plans during the hours I work at school, but it's just impossible. Having my lesson plans finished ahead of time has made a huge impact on what I'm able to get done every day. Should I become an elementary librarian? I have a feeling that's what brings many people to ask the question "What does an elementary librarian do? ", and possibly what brings many people to my site. My answer is simple. If you're looking for an easy job in the school system, the answer is no. You'll be very disappointed. If you're interested in promoting student reading and helping your school in any way possible, it may be a good fit for you. If you're an elementary librarian, what would you add to the question, "What does an elementary librarian do?" Please share with us in the comments. You forgot technology trouble shooter and test make-up center 🙂 The elementary school librarian has the BEST job in the school, but certainly not the easiest! So, I feel ya! 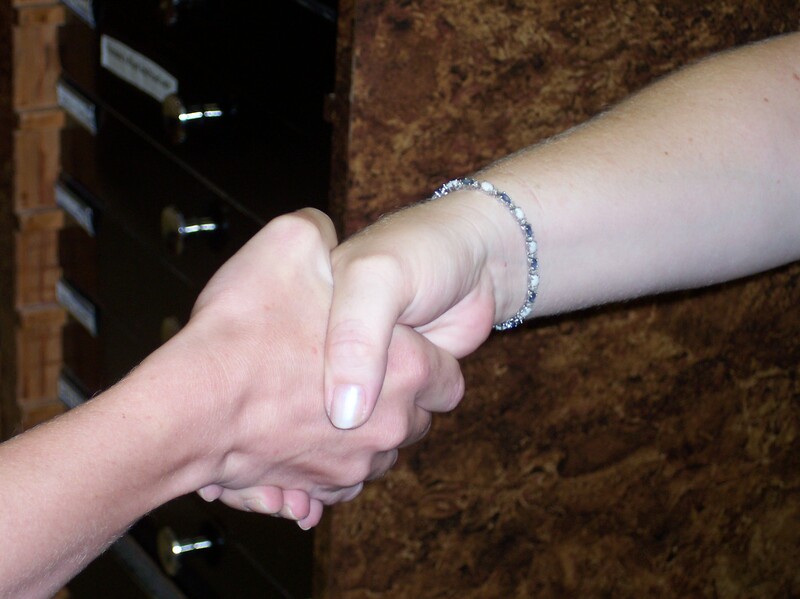 Our job is so wide-reaching, it's very hard to explain to someone who asks what we do. There's no way to encapsulate it into a few sentences, and that's what they want. Very true. I was also the Educational Technology Facilitator at my last school, but my current district has several troubleshooter positions, so I don't have to do much of that anymore. It's a good thing, because I have no idea how I would get it done! Can you describe in detail what you do as the technology facilitator? Everything I've read about the responsibilities of an Elementary School Librarian sound like a dream come true for me, except for the word technology. There's a job opening at my school district for a Library Media Technician and I'm petrified by the word technology. I'm not tech-savvy, although I use the internet, social media, etc daily. Did you mention books repair? Home communications for lost/damaged books? Great! I believe you also like reading. Please tell me more about being a school librarian. I´m 11 years old and I´m interested in becoming a librarian. I think it is one of the greatest jobs in the world. I can definitely relate to you. And I am only a paraprofessional - running the entire show in the library. All of the purchasing of books and materials, all of the weeding and inventory, 5 classes a day K-4, shelving about 200 books per day, checking them in and out, reading to every single class, planning and running two book fairs each year, rounding up volunteers, training student helpers, etc... And I bring home $1,500 per MONTH. It's ridiculous how hard I work. Good thing I love the kiddos! I am a paraprofessional as well, making about what you do per MONTH...I do much of what you describe as well as textbook manager for the building, manage the checkout and return of adaptive special education equipment, do trucking orders, manage and facilitate our MakerSpace, coach our Battle of the Books team (district competition), have 24 sections of classes that visit per week, and of course, make library displays! Whoop Wooo for librarians....I love my job! Best job in the world, hope our ranks don't lose anymore jobs! Who would do what we do, no one! Process new books! Although the majority of my books come mostly shelf ready when I order them, I get books from various sources and some don't have MARC records from the Library of Congress, so...I have to make the record. Then there is weeding. Keeping track of my budget, purchase orders, etc. Changing the bulletin board. Notifying kids about books they have on hold. Sending out overdue/fines notices. In my library, I am in the process of "cleaning up" what my predecessor didn't know how to do. When the job is done correctly, it is not easy and can't be done in 7 1/2 hrs. But is is the best job in the school! I do all these things as well. I very rarely process anything because I always order pre-processed and with MARC records because I simply don't have time. I also update bulletin boards, update TV announcements, and send out overdue notices... Occasionally. I just don't have time to do this like I should. Yes yes yes! You are right on! As a Library Media Specialist myself I love this description! Yes, you do need 2 year's experience as a teacher and a Master of Library and Information Science degree to apply for a school librarian position. It depends on the state. Some states only require a teaching certificate and passage of a test, ie. Praxis II test. That's it. I am in Southern California and I did not need a teaching credential or even a bachelor's degree to be an elementary librarian. Ours is a classified employee position and is a paraprofessional. I am a paraprofessional...my supervisor is the Tech Coach. She knows much about the library and we collaborate on a library plan, but the library is run by me. I do all of the things that are described here. It just depends on the district in which you are applying. I have learned so much from the comments I have read today! Thank you. I will be running a small private school library. Gr. Pre-K - 6. We have 90 students grades 4k - 6. The collection is fairly robust and is housed in a room that also has a section that will now be a math classroom. This will be a new position for me and I will have about 1.5 hrs. of paid time to dedicate to this job daily. I know that it will require some unpaid time : ). The previous librarian did have check out/in with each class, but they have now decided to let each teacher handle this responsibility! I will mainly be responsible for overseeing the organization of books. 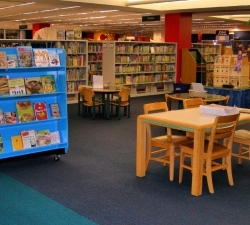 Teachers will be responsible for bringing their classes to the library 1x a week. We have an electronic catalogue and the bare bones for each title has been input into the system. I have had limited training on the electronic catalogue and a whirlwind view of the collection. I am taking time to master all this over the summer. I have no library experience. I am a French teacher and will be running a language program at the school in the afternoons so I can't be in the library after school hours to assist teachers or students : (. Does anyone have some organizational suggestions for a system to maintain the library? 1) a simple set of commandments/list of commands/guide for the teachers and staff who previously had a librarian handle the class check out/in. in order. This is key for the elementary age group. There will not be anyone present to oversee activity for large time slots, other than the math teacher who will be busy with numerous responsibilities. where the library is in transition and not as centric as in prior years. 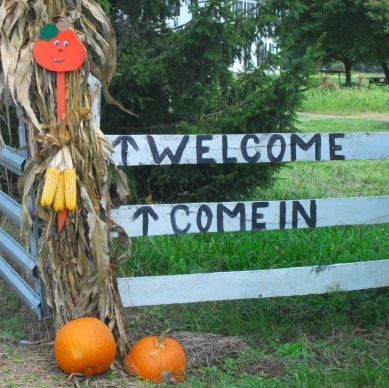 How to organize a base of parent, community volunteers or maybe a 5th and 6th grade volunteer group? Merci in advance for suggestions and ideas! My son attends a charter school and we do not have our own building, but rather lease space from a church. Although we are a public school we do not get treated as such and often get overlooked for funding. We go from PreK to 8th grade, 2 classes per grade, 20 or fewer students per class. As our school grew in reputation it now has a total of 6 locations. But there is only one guidance counselor for all six. There is only one gifted teacher, 2 art teachers and 2 music teachers that all have to divide their time between 6 schools. I appreciate that we still have art, music and gifted, with all the statewide mandatory standardized testing many schools have dropped these programs. I am so pleased with the small size and family feel of the school. We picked this school because it is higher academically than the other public schools in our area. That said, I had no idea that charter schools were treated like the red-headed step-child of the county school board. We don't even have a "school zone" warning on the street. What was also shocking is that my son's school does not have a library. They said this is because 1. they do not have the space, 2. because all students have an iPad and 3. we are not far from an excellent public library. So I wanted to get the opinion of an expert. Is our school missing out on something by not providing the kids with a physical library and physical books? I have an opportunity to speak at the School Advisory Counsel meeting and would love to provide them with some data or studies if there are any. Thank you for your help. I don't know if you still need information, but this might be useful: http://scholasticlibrary.digital.scholastic.com/media/wysiwyg/PDF/SLW3.pdf or the 2016 version (you have to fill out a form to have it emailed to you) http://www.scholastic.com/SLW2016/. Here's an article from Scholastic: http://www.scholastic.com/browse/article.jsp?id=3757441. I am currently a Elementary School Librarian. My Title is Elementary Library Assistant. I do not assist anyone. I do it all. The school committee is willing to change my title to include media specialist. I wanted to make it Elementary library/Assoc.Media Specialist They are not sure about the "Associate" I just want to get rid of "Assistant" I am looking for info that I can present to the Committee to show why we are adding Media Specialist to our titles. Anyone know where I might find this info? In Canada, you require a two year Library and Information Technology Diploma to be a school librarian. If you have other Degrees or a Masters in Library Sciences, it does not matter; they will not adjust any pay scales according to education. It is strictly considered a paraprofessional position. School libraries are being cut (hours and staff) throughout Canada. I work 3 days a week at 2 different schools and am expected to accomplish the same as if I worked 5 days a week at one school. It is non-stop from the moment I walk in the library door until I walk out each day. I love the job but it is extremely undervalued and many librarians are moving from the school to the public library system. Very sad to see. I am having a job interview for Library technician in ottawa school board. please tell me which question will they ask and which software is being used in ottawa school libraries. What about Book Fair chairman? That is another job duty that I possess. It is very time consuming. I hold two book fairs a year. Thank you for the information you have provided plus all the comments. I have a BS in chemistry and looking into a media specialist master's degree. I know working in school libraries are completely different than when I was in school. Hopefully this job and the master's degree will be easier than chemistry! Thank you for posting your day and describing what all your role is as a librarian. I began looking for other "role descriptions" as I am rather conflicted on whether I should make suggestions to our librarian or bring them to administration first. Allow me to introduce myself! My name is Bec and I am a fourth-grade teacher at a very low SES school in Florida. I have been teaching at this school for 10 years. Our students have significant literacy deficiencies - across the board. I teach at a school that has a population of roughly 700 students. Our classes visit the media center once a week for thirty minutes. While that planning time flies by - we all know that thirty minutes is a valuable number to utilize appropriately. To begin, our media specialist has severe difficulties moving around; so, there is not much interaction with students other than "come to me" interaction. The only "activities" that are done during media are watch book fair videos, talk about rules, put those foam puzzles together, or free draw. There are zero academics being done. I have battled my tongue for about 4 years since she took the position. 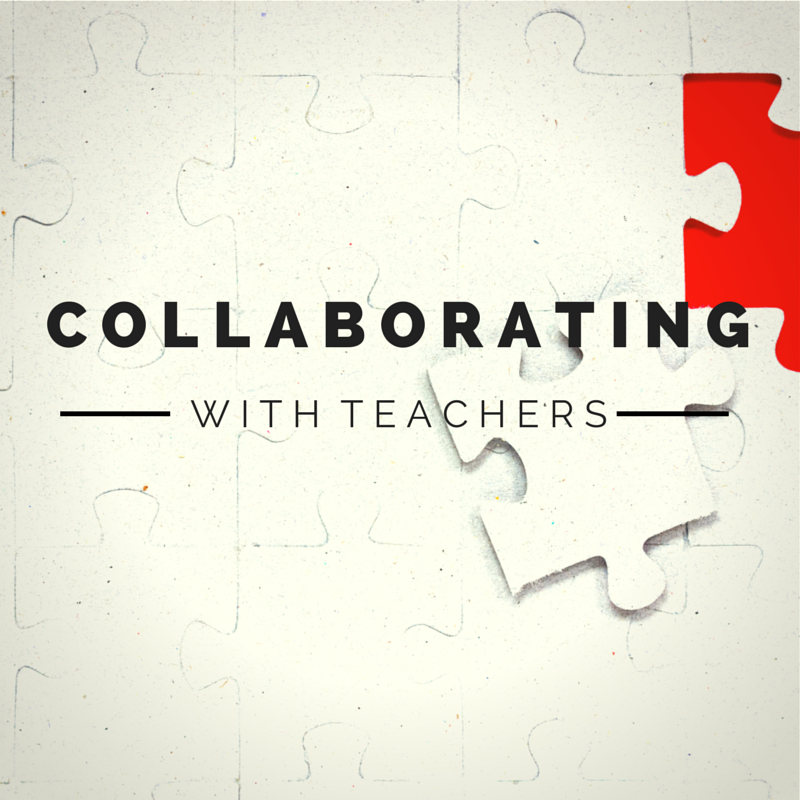 My suggestions I have expressed to my team have been project-based learning, HTML or web-design, coding, novel study, book club...something that ties with other subject standards. There are forty computers in our media center. Twenty for her instruction and twenty for K-2 computer lab. She has NEVER had the students log on to the computers and use them while she has them. We have a handful of programs that we use to supplement our interventions. Couldn't this be something she does as well? Every week, it's the same routine. Come in, sit on the floor, go over rules, watch a video from 1983, discuss rules again, then IF and only IF there is time left over, they can check out books. My question is, can I make these suggestions? I am not one to offend or collide with confrontation. However, I am deeply offended that every week our students are taught nothing. The classroom teachers here - and across the board - are working their tails off and scratching brains on how to get these kids to excel and close achievement gaps. It only makes sense that cross-curricular and all hands on deck would be a good option. I value anyone's suggestions and insight. I am at my wits end with the laziness, yes the laziness. No one else is doing something about it but they all want to blab their mouths. Please help me find a good way to convey my concerns! !